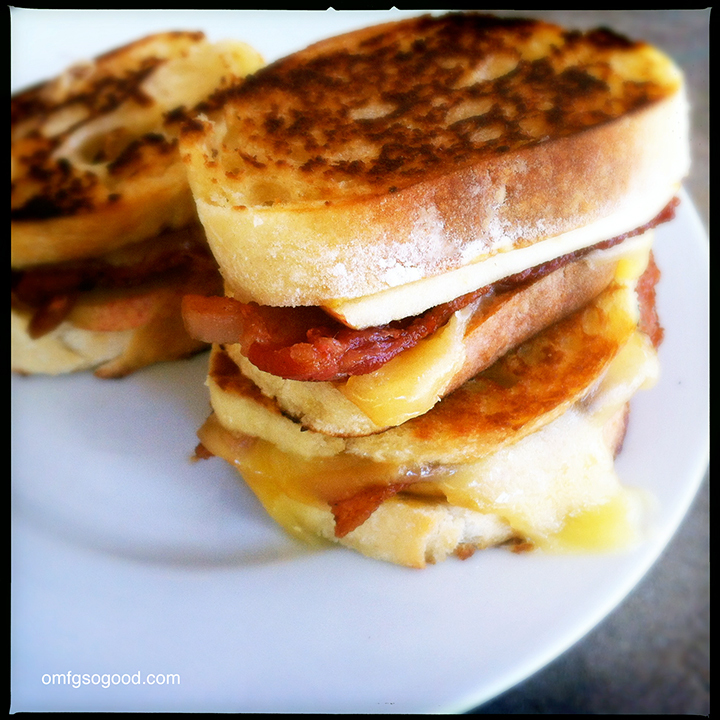 apple bacon gouda grilled cheese sliders | omfg. so good. I wasn’t sure how to start this post, so I thought I’d Google “sliders” to see if maybe there was something about the origin of the name with legs. 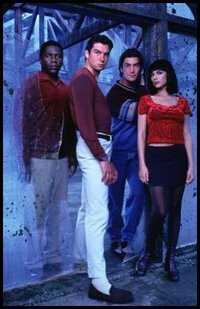 I’m not sure where I was hiding between 1995 and 2000 when I missed the show Sliders completely. According to the show concept, these inedible “Sliders” travelled via wormhole between different parallel universe Earths carrying a portable timer. Failure to reach their wormhole in time stranded them for 29.7 years (seriously?) on the alternate Earth. My first question is this. How did this show last for five seasons and Arrested Development was cancelled after just three? In a medium sauté pan, cook the bacon to desired doneness. Transfer to a wire rack set over a paper towel to drain any extra grease. 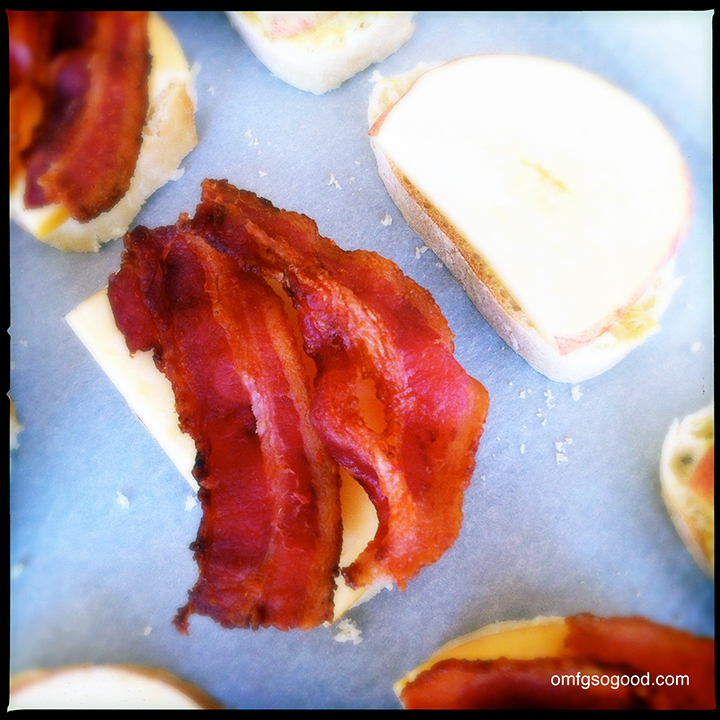 Cut the cooked bacon into 12 pieces and set aside. 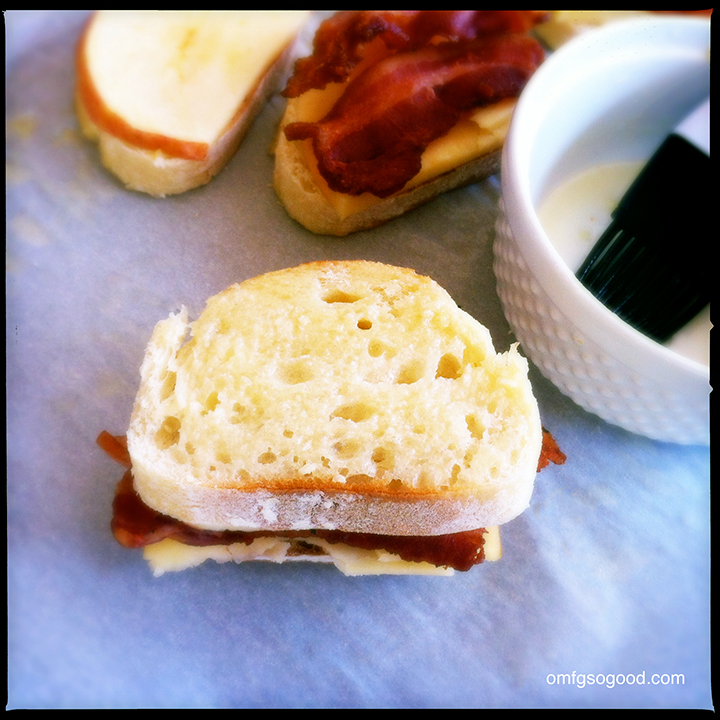 Brush a light layer of Dijon on the slices of bread. 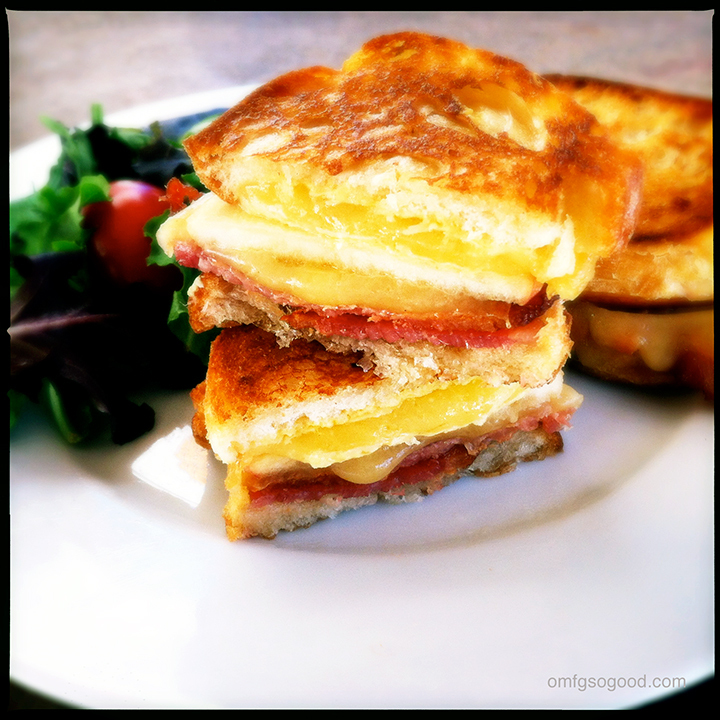 Lay down a slice of Gouda, top six of them with an apple slice and the other six with two pieces of bacon each. I may have eaten four of these all by myself, then when Jonny came home I may have told him I only made four but I saved two for him because I love him so much. This is a test to see if he’s really reading my blog. Now I’m going to see if I can find Sliders on Netflix streaming. I wonder if Jerry’s wearing those white pants in every episode? Oh Many Fighting Gnomes! So Good!